Play with mud! Mud (water and dirt mixed together) is the main material in hand-made shelters. 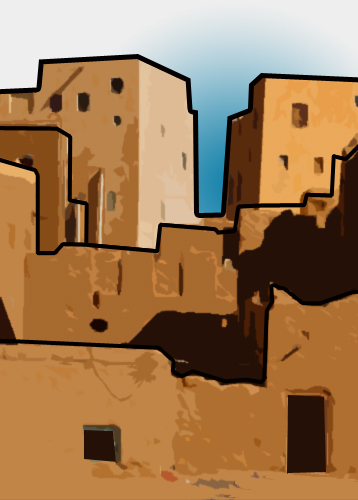 A large percentage of the world population lives in earthen dwellings. Hand-made blocks are called adobe bricks. Adobe bricks can be stacked to raise houses up- literally from the earth. Adobe material is cheap, strong, and durable and found all over the world. Adobe consists of dirt, sand, water, and a fibrous material, such as straw. 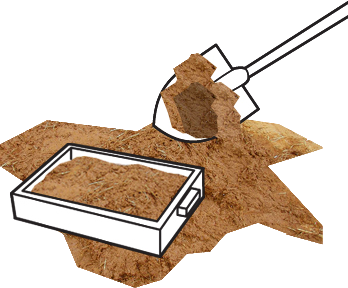 This mixture is patted into a rectangular shape or poured into a frame or mold. It then hardens or dries in the sun or bakes in a kiln to form solid adobe bricks. Adobe material is also used to fill canvas bags to form superadobe! Superadobe bricks are extremely strong and capable of supporting many pounds of weight. These bricks are then formed into walls using basic masonry techniques of alternating courses (or layers). Once constructed, any gaps are filled in and the walls are covered with a coating of plaster for extra strength. Adobe construction is durable and energy efficient. Adobe material is also cheap to make and can be made on-site using local materials, making it a very sustainable building practice. Almost 20% of the World Heritage Sites are built with earth. Adobe construction can change the world, so let’s take a journey and learn how you can change the world through adobe construction. Activity 1 – explore adobe! Take notes about adobe in your journal. Make sketches about the process of making adobe bricks. Take a virtual tour and explore some examples. Make sketches of actual adobe houses. Play with mud, without getting your hands dirty! Building with earth or earthen shelters is one of the most ancient of building crafts. Examples exist from 8000 years ago. The Great Wall of China is an example of an earthen structure. It is estimated that over half of the world’s population lives, or works, in earthen structures. If soil, gravel, sand, silt and clay exist in an area that has high temperatures and strong sunshine, you can be sure someone is building with adobe. Soil also is composed of air and water. 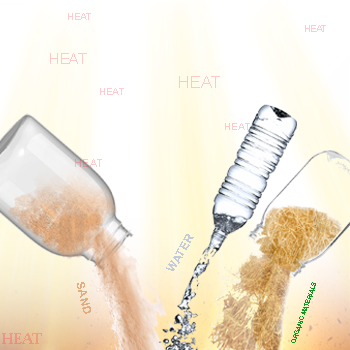 According to the percentage of the four solid components (gravel, sand, silt and clay), the soil will is classified as either gravely, sandy, silty or clayey soil. It is important to study the granularity, plasticity, compressibility and cohesion of the soil for making adobe. Make a chart that shows the four components and how each should be tested. Now that you have researched how adobe is made, look at how it is built. Do you see the patterns of the blocks that alternate to make the bricks stronger? Using modeling clay for superadobe construction, or sugar cubes for adobe brick construction, create a scaled building that can be used to provide shelter. The scaled building should be 5” tall and 7” wide. Make sure to incorporate your own personal design in the structure! Make a figure, or figures ½" tall to place inside and outside of your adobe masterpiece! 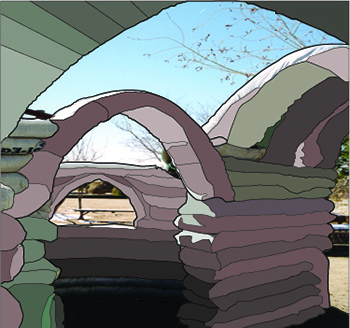 Adobe material can be used to form buildings in multiple ways. The two most common construction methods are the superadobe and abode bricks. First draw and dimension a typical adobe brick. Then draw and dimension a superadobe brick. 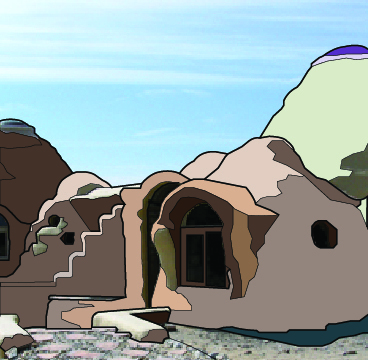 Create two drawings for a building using each type: one superadobe and one adobe brick construction. Draw the plan for a one room, one story adobe structure. (You can add a typical bed, table and chairs, and a kitchen area as well in plan and section). 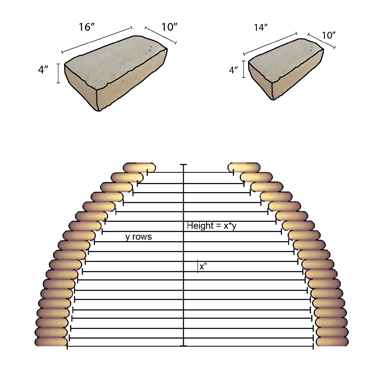 Add dimensions of your adobe house based on how many adobe bricks wide, long and tall it will be. Consider painting the outside of the houses you have designed. What colors will you choose. Will you add decorations? Label your drawings! You are an adobe designer! 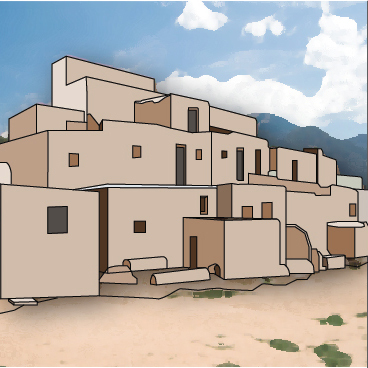 Visit Emergency Shelter Village and study the structure of adobe buildings. Take notes on the structure and use of adobe. Think about how these buildings can be quickly designed and created. A roof above your head is a basic, universal human need. In today’s world, more than 100 million people do not have a roof above their head. Poverty, war, and natural disasters have made homes almost impossible for those 100 million. An expedient solution for the homeless is the use of adobe construction for shelter. Take this knowledge and use it to design an emergency village to shelter homeless populations in times of migration, emergency, or natural disaster displacement. Adobe becomes strongest when it is _____. Adobe construction is both ______ and ______. What countries use adobe construction? Adobe bricks are formed in all ways except....? Adobe material is made out of ______?